ATI Industrial Automation is a world-leading developer of robotic accessories and end-of-arm-tooling. Our expertly-engineered, productivity-enhancing devices enable multi-tasking, collision detection, force sensing feedback, robotic material removal, compliance, and more in robotic and automated processes. Since 1989, our engineers have worked to develop products that improve manufacturing performance in thousands of ground-breaking applications around the world. Simply put, ATI’s end effectors allow customers to accomplish more with automation. 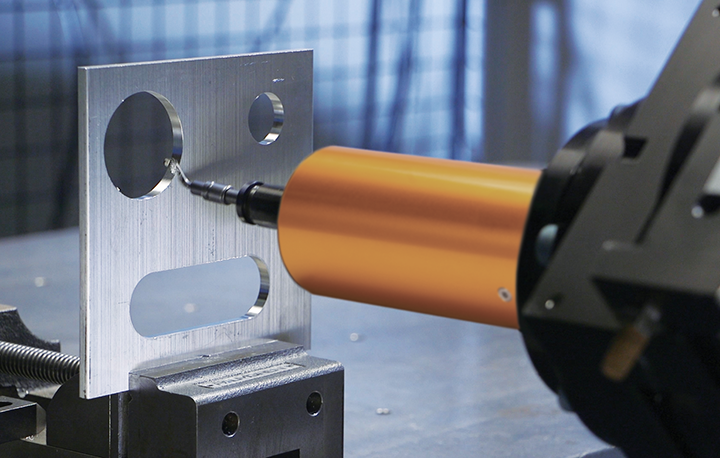 Our Mission is to provide customers with high-quality robotic peripheral devices, tooling, and sensors that increase effectiveness, flexibility, safety, as well as productivity. We accomplish this through continuous improvement of existing products, new product innovation, and custom-engineered solutions. More information on ATI’s products is available at www.ati-ia.com. AUTOMATE is ATI’s most highly-anticipated tradeshow of 2019. This event draws a crowd of automation experts from a variety of different areas. It’s a chance to meet new potential clients, but it is also an opportunity to check out new technology, check in with existing customers, and most importantly, stay connected to the challenges that face our industry. So many new demonstrations will make the ATI booth a hot destination this year. We are highlighting our recently released Compliant Deburring Blade as well as our low-cost, high-performance Axia80 Force/Torque Sensor. Show attendees visiting our booth will also get up close and personal with ATI’s flagship Robotic Tool Changers and Tool Stands, Utility Modules, Robotic Collision Sensors and Deburring Tools, Utility Couplers, Force/Torque Sensors, and more. Yes, ATI’s Material Removal Product Manager, Dan Merritt will be leading a discussion on the advantages of using robots for material removal tasks on Tuesday, 4/9 8am-9am, so mark your calendar! I look forward to seeing Reshma Saujani’s keynote presentation and checking out the small group discussions in the “Automation Solutions and Innovations” Track. AUTOMATE Launchpad Competition has been fun to follow, and I am excited to see which finalist will take home first prize. ATI is sponsoring a networking event on Monday 4/8 after the show as well. We hope you will join us for refreshments and a chance to catch-up with some of our industry peers. In today’s “smart manufacturing” environment, robotic material removal applications are increasing in popularity. ATI’s Compliant Deburring Blade (CDB) is a practical and versatile solution to a variety of material removal needs. It is ideal for light and medium deburring, chamfering, and scraping applications on plastic, brass, steel, aluminum, and other materials. The CDB directly replaces many handheld deburring tools and methods. 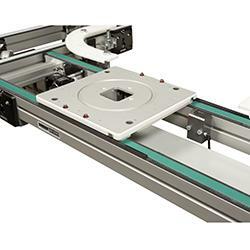 It utilizes a variety of “off-the-shelf” blades and media, which combined with the precision of a robot, creates consistent results. Automating material removal tasks improves the quality and throughput of processes and creates a safer work environment. In most cases, these upgrades do not reduce overall headcount. There is a definite labor shortage in the manufacturing sector that creates a need for solutions that enable users to do more with less. Utilizing resources like robots and automated technology generates a work environment that is not only safer but also more productive.